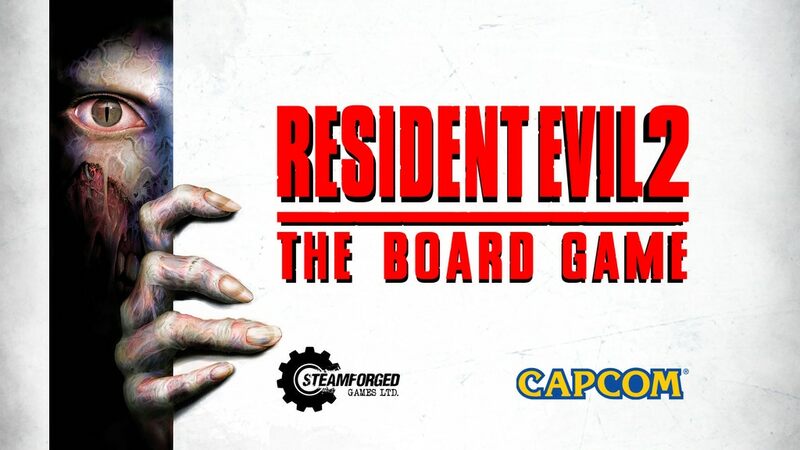 Resident Evil 2 Board Game heads to Kickstarter, funded in an hour | PowerUp! 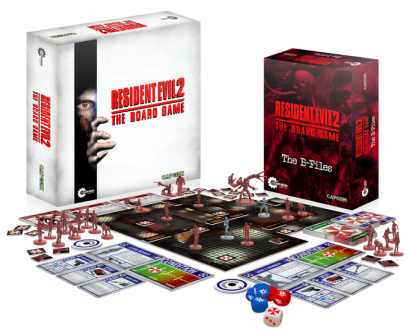 Steamforged Games launched its Resident Evil 2: The Board Game Kickstarter on September 26, 2017. Within one hour, the project was funded and had even manged to crash Kickstarter. Thankfully, the crowdfunding platform is fully functional again and the project page is still live. Founded in 2014, Steamforged Games is a UK based tabletop games company, focused on modern tabletop gaming. Steamforged has previously released board games based on Dark Souls and Dark Souls II. 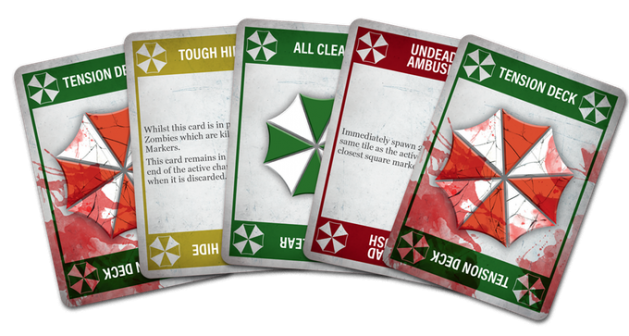 Resident Evil 2: The Board Game is a co-op survival horror game for 1-4 players. Set during the events of Resident Evil 2, players will need to explore and survive Raccoon City in order to escape. The game itself is a combination of resource management and Steamforged’s ‘Tension Deck’ mechanic. 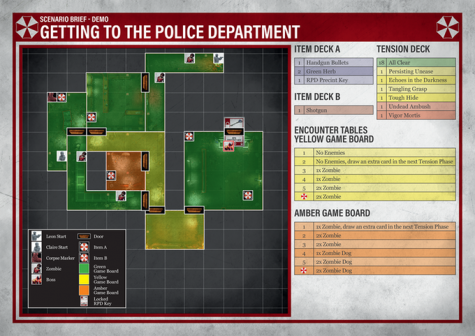 Players will need to find clues, equipment and weapons to stay alive. The Tension Deck forces players to consider every move they make and what the best course of action may be. As a co-op game, everyone must survive in order to win. If a single player dies, it’s game over. Each character has special rules and abilities which will need to be used to succeed. Steamforged broadcast a live playthrough of the demo version of the game to give players an idea of what to expect. The Kickstarter is a simple one, with only one pledge level of £70 (roughly $120 AUD) which grants access to the board game, B-Files Expansion, Kickstarter exclusive Leon costume and all future stretch goals. The next stretch goal to be unlocked it Plant 43, which will be available with £340,000 pledged. The current total stands at £330,117 with 4, 473 backers and 26 days remaining. 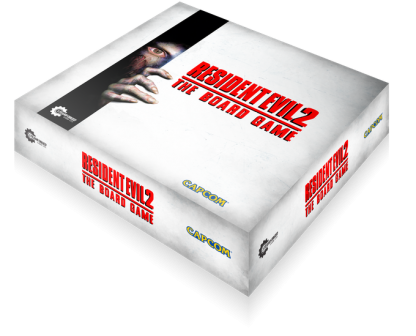 The Resident Evil 2: The Board Game Kickstarter ends on October 26, 2017. It has been funded so will be successful. Now’s your chance to get in on the ground floor.